Would you like to spread the word about Deadline Funnel and get paid a recurring commission of 33%? We will review your application and you should receive a decision within 2 business days. Contact us on chat if you want us to review your application sooner. Be sure to read our terms of service and follow the rules (you'll see them when you register and sign in). Short version: "Don't do anything that has the potential of damaging our reputation or brand." Q: "Can I offer my tribe a special deal?" Yes, you just need to contact Jack (the Deadline Funnel founder) and outline why offering a unique deal to your audience is going to be a win-win. You don't have to have a huge audience (although that helps) but you would need to indicate that there's a strong possibility that many in your audience would be a great fit for Deadline Funnel. Q: "Can I have Jack do a special webinar or training for my audience?" Yes. Contact Jack and give him details about what you'd like to do. 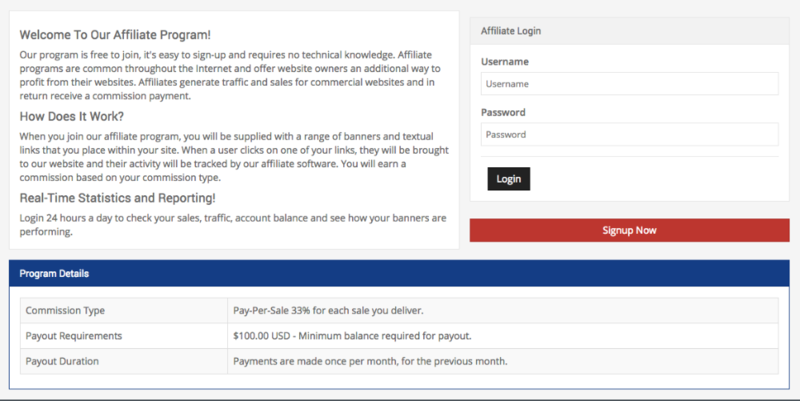 Q: "Are the affiliate commissions recurring?" Yes, as long as the client you referred remains a paying customer, you will continue to receive commissions.